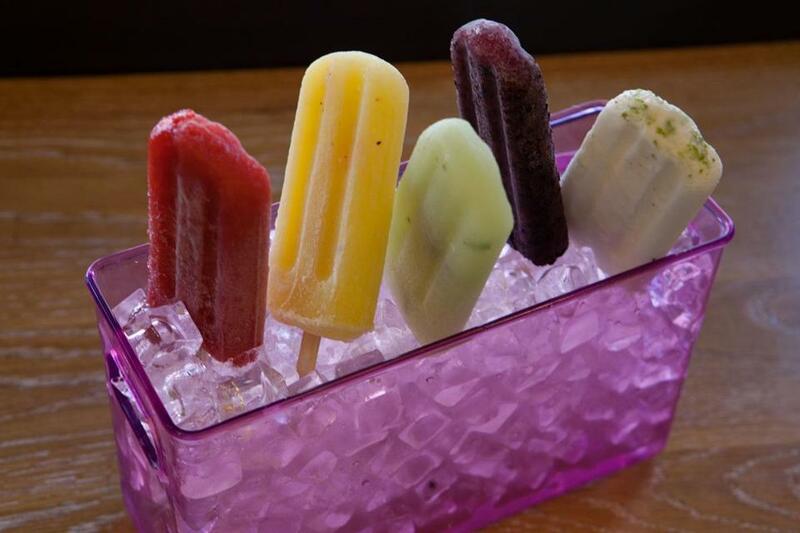 Ashley Gleeson and David Clendenin, owners of Pressed, a Beacon Hill spot best known for its fresh juices, seem like unlikely candidates to be selling the South American popsicles known as paletas. But Gleeson, a New Hampshire native with a hospitality background, and Clendenin, who still works full-time as an anesthesiologist at Boston’s Children’s Hospital, have found that Bostonians have an insatiable appetite for the frozen fruity treats. The paletas, which sell for $4 apiece, clock in at about 100 calories, according to Gleeson, which makes them a lighter alternative to other sugary summer treats. She explains what sets them apart from what you’ll find in the freezer section of a supermarket: “A paleta is more of a fresh fruit popsicle, so you are going to a have a lot more texture to them. You know, when I did the plum and violet, I literally cut [the plums] in half and then threw them into the blender, so you still get all the skin and all the good vitamins and nutrients.” Because fruit loses some of its sweetness when frozen, Gleeson will occasionally add a little honey or agave to the fruit blend. The only time cane sugar enters the mix is when making delicately flavored concentrated syrups, such as the violet or rose. 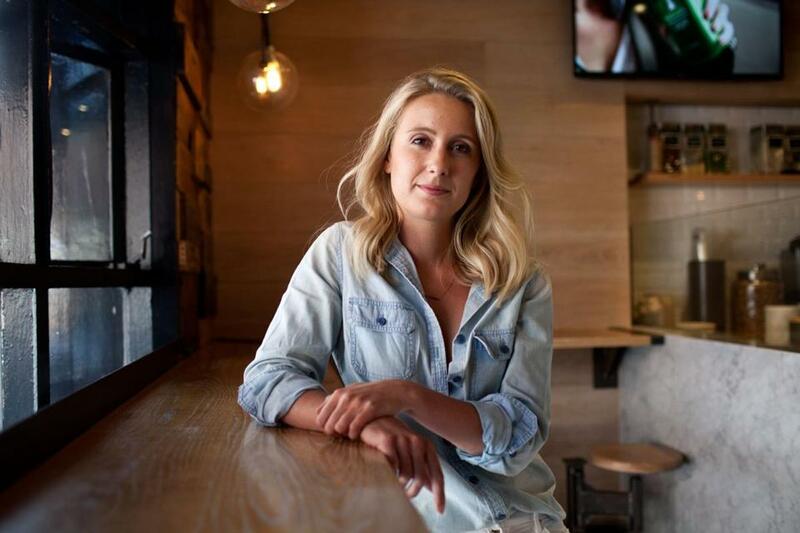 Pressed co-owner Ashley Gleeson said she can’t make paletas fast enough.